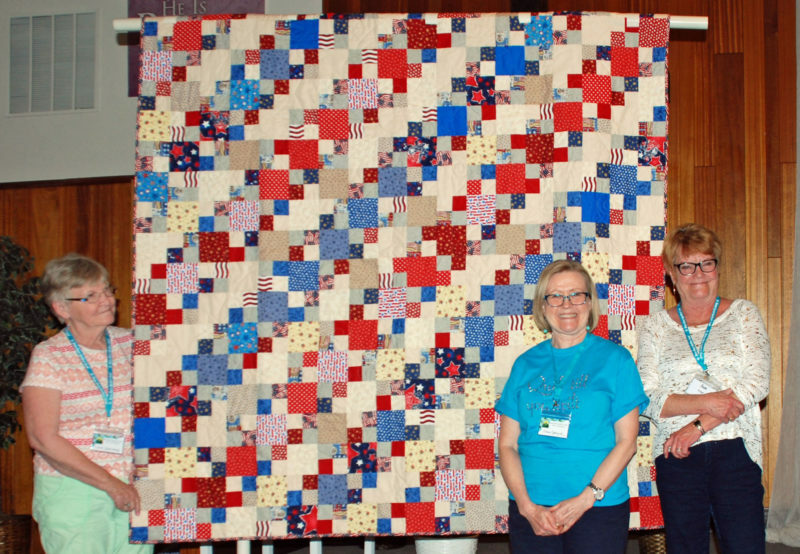 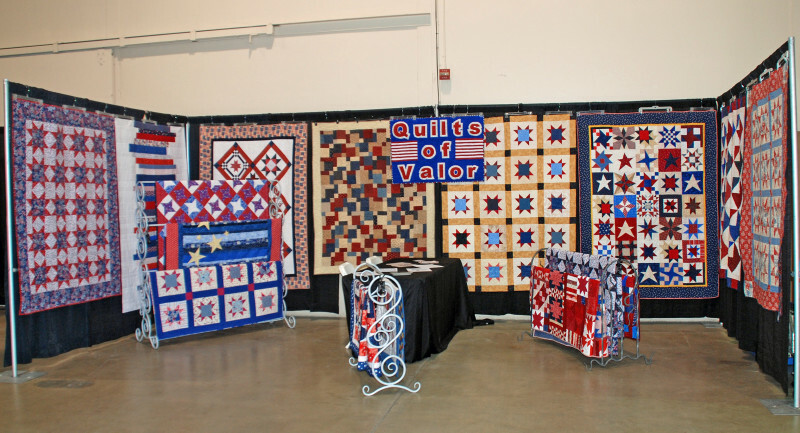 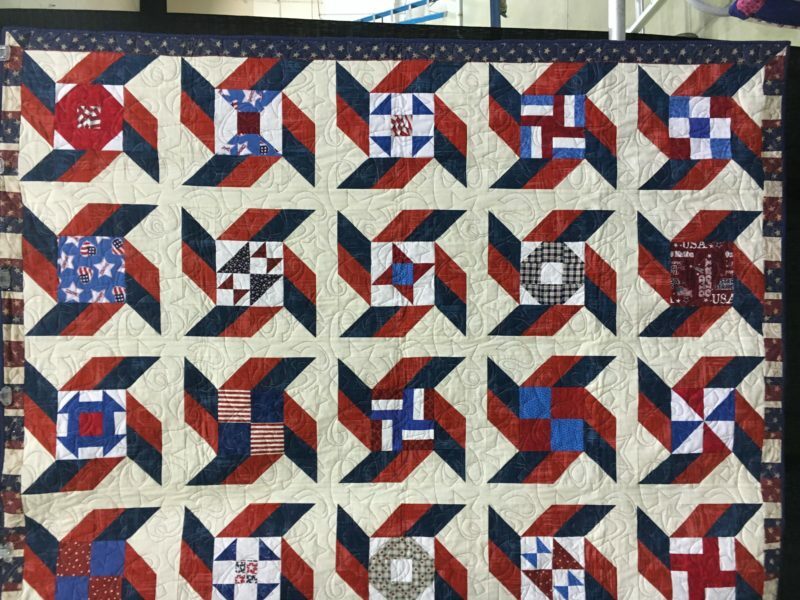 This is your chance to participate in The National 2018 Quilts of Valor block drive. 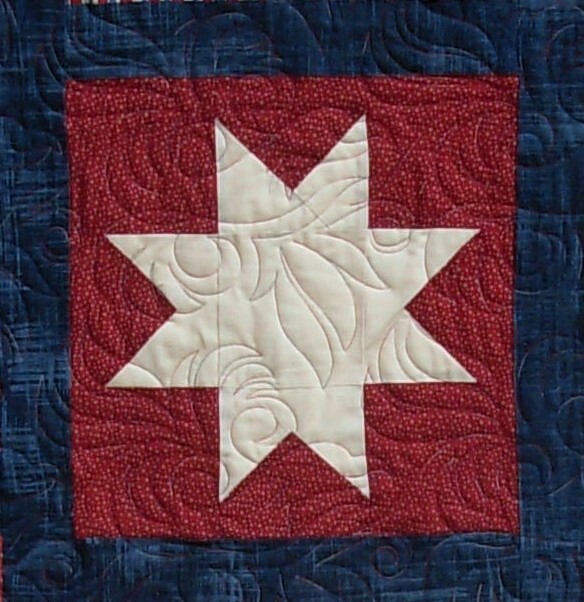 It features a beginner’s Friendship Star with a pinwheel center. 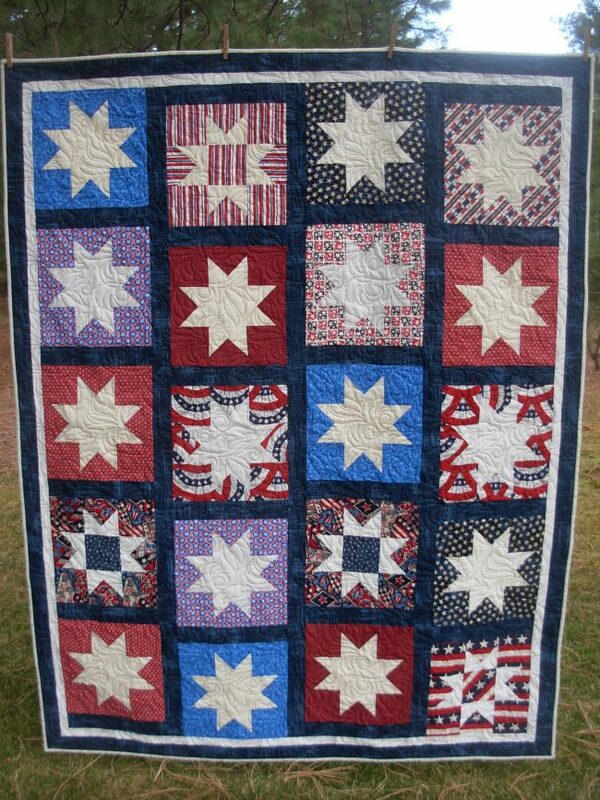 Instructions are in this attachment. 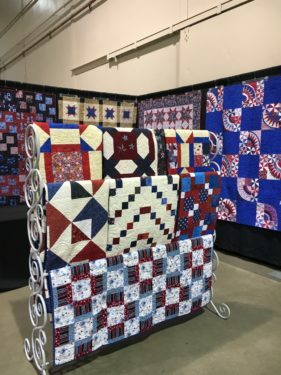 The purpose of the national block drive is to give individuals or groups who wish to make just a few blocks the opportunity to have their block(s) included in QoV quilts. 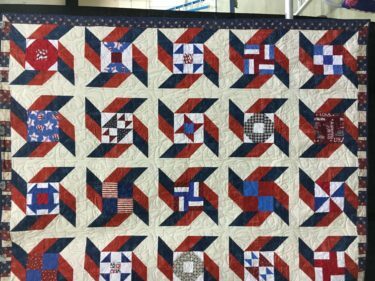 Please see the attachment with instructions for the 2018 block – all our blocks will be kept at the local level and used to build quilts for the local QoV group. We look forward to your contribution of this Friendship Star block(s). Once your blocks are completed, please bring them to a BBQ general meeting or contact Connie Emmen at 208-336-9919 or qwik4me@live.com. 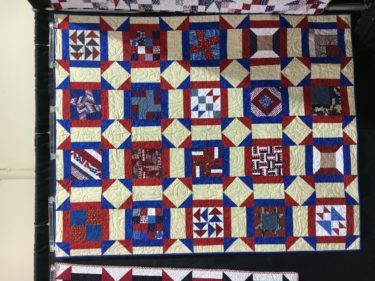 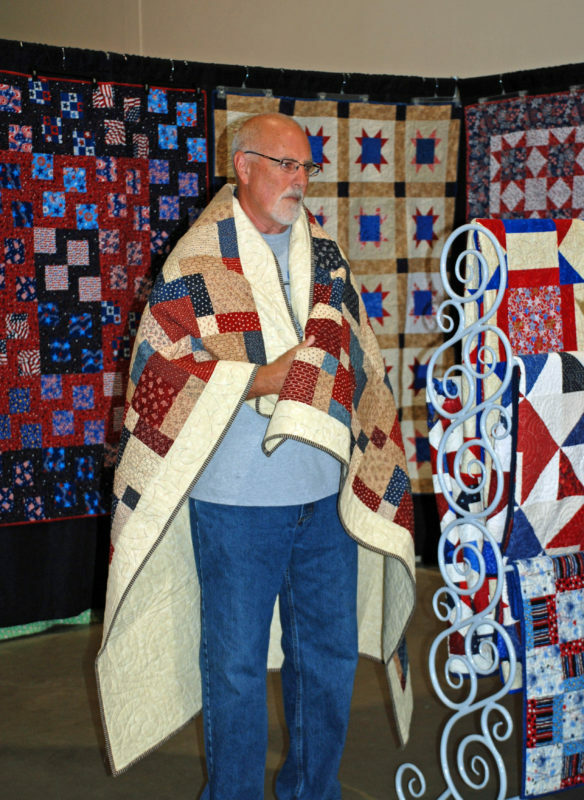 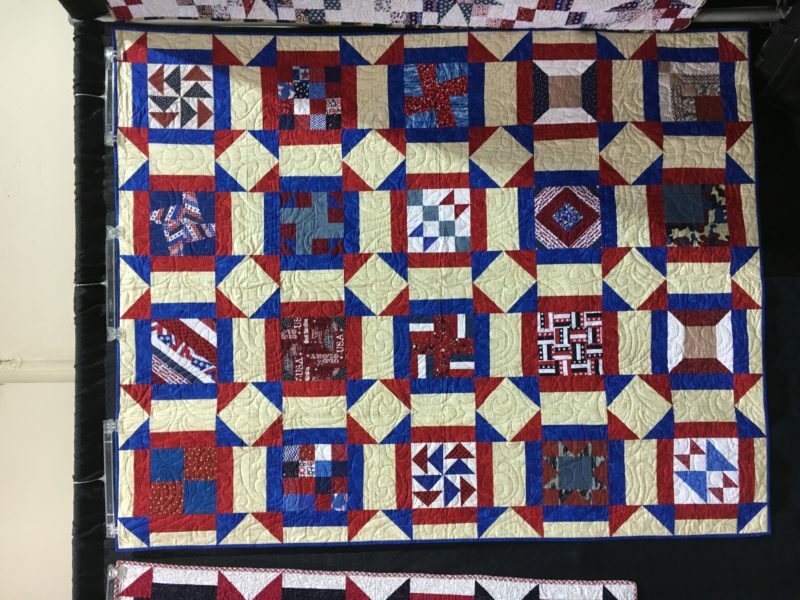 Six of your donated quilts were awarded at the QoV ceremony at the quilt show to Lynn Steadham, William Stephens, Norbert Schuster, Randy Miller, Ben Steffens and Charles Sullivan. 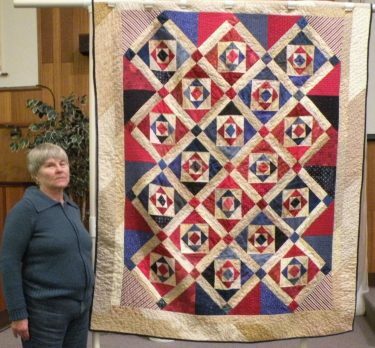 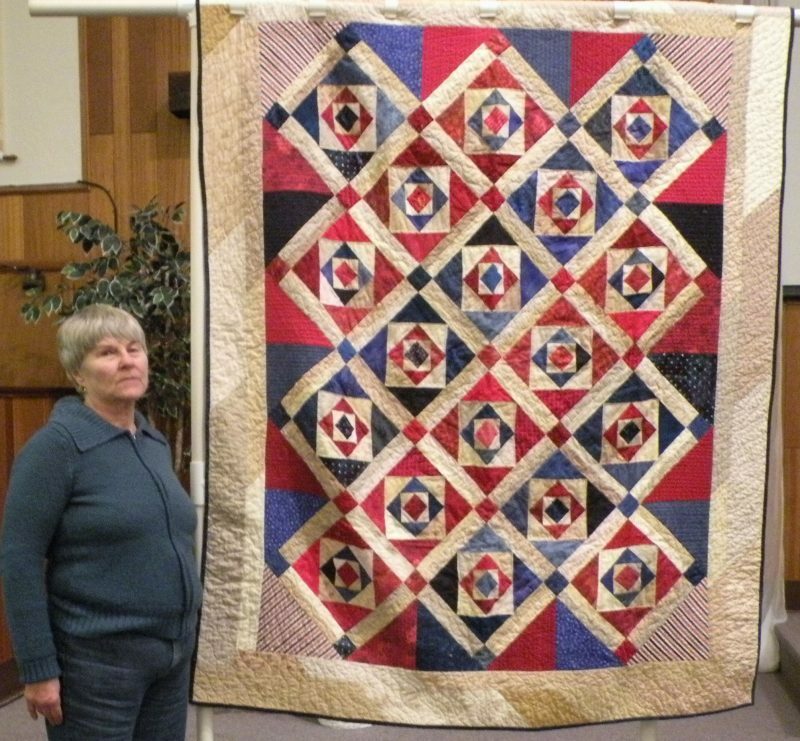 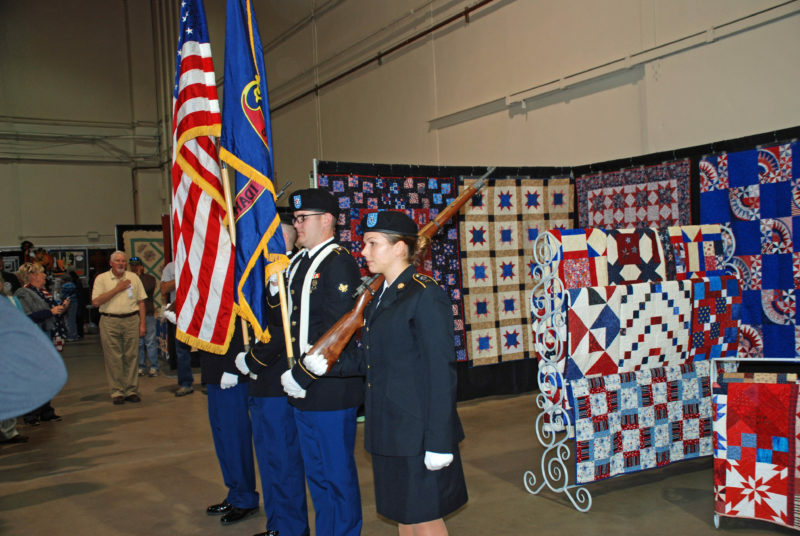 Kuna Middle School has asked that the presentation of a Quilt of Valor become a traditional part of their Veterans’ Day assembly in November. 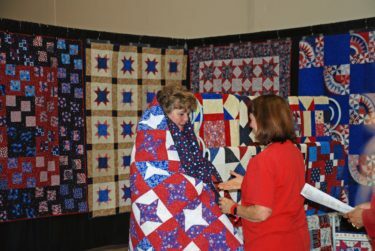 The students learn about the Quilts of Valor Foundation, nominate someone to receive a quilt, then interview their nominee to learn about his/her military service. 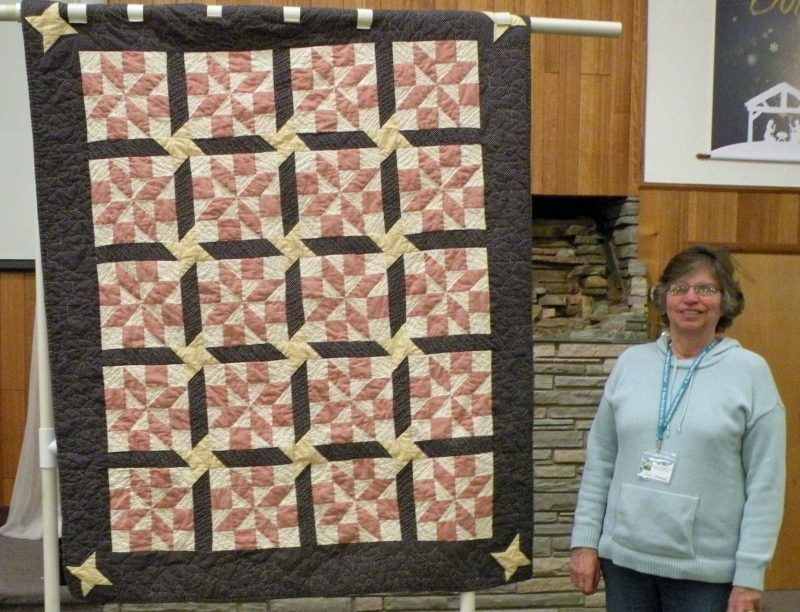 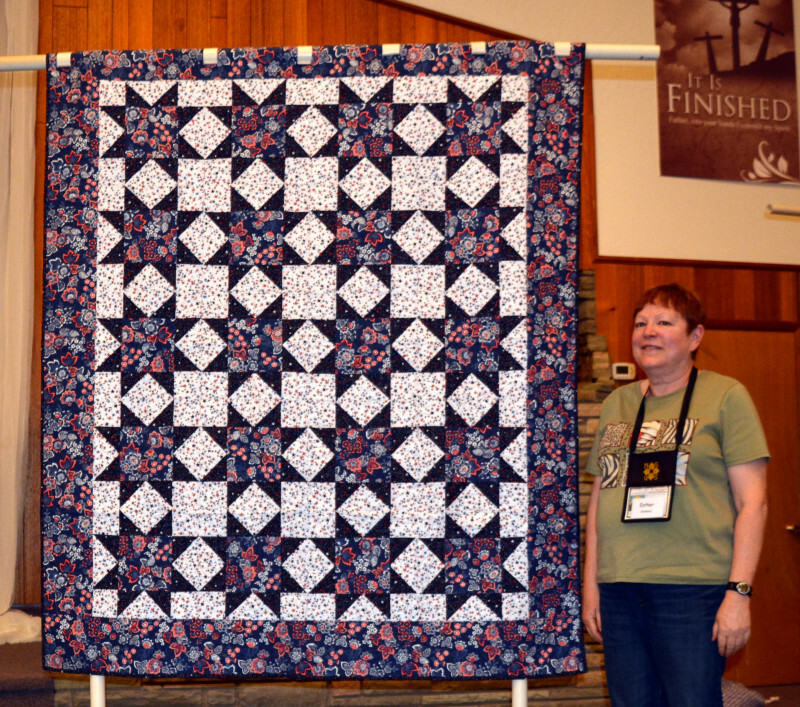 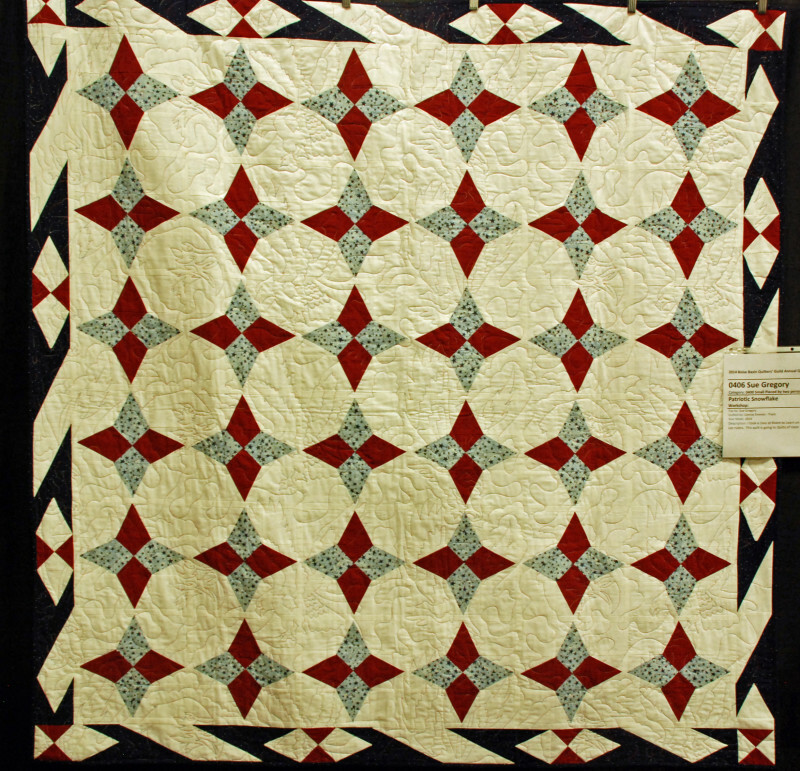 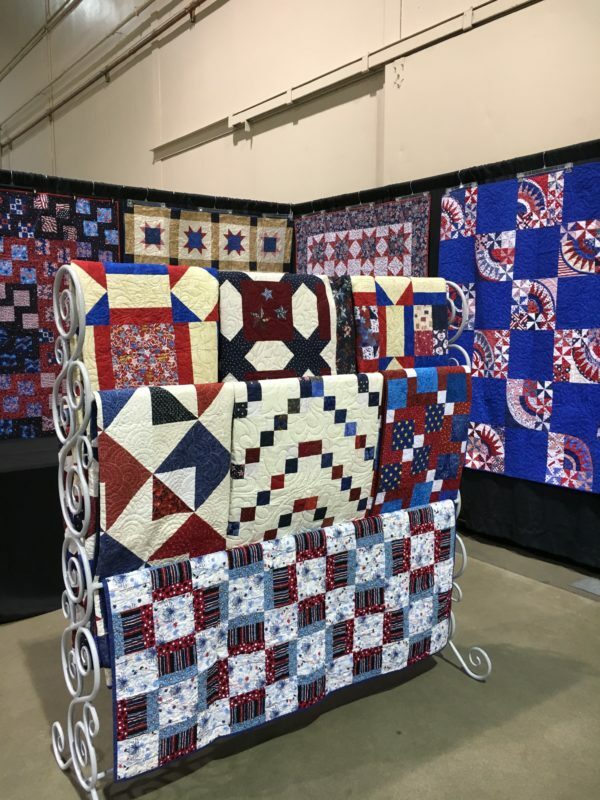 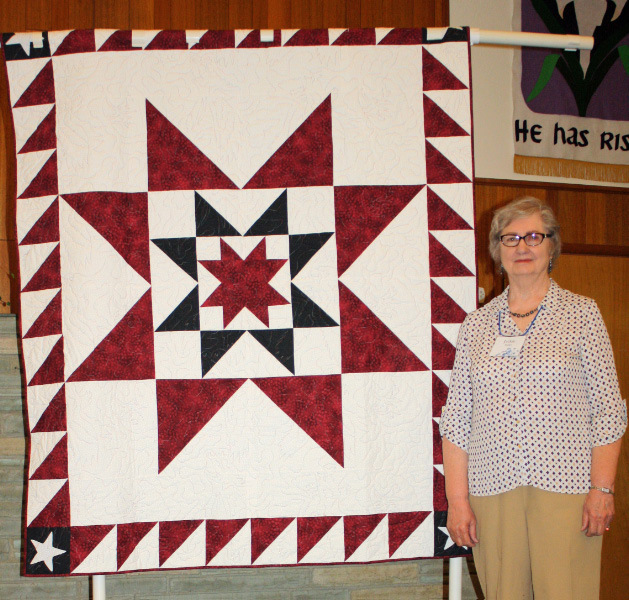 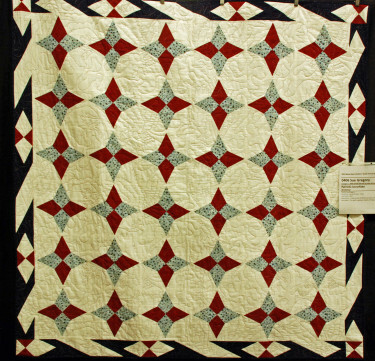 QoV presentations occur throughout the year but we can count on a beautiful presentation at our next quilt show – September 2019. 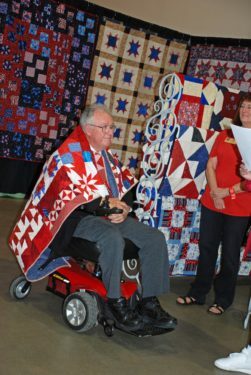 To nominate an American Service Veteran or Active Duty person to receive a quilt during this ceremony, go to http://qovf.org, click the “Take Action” tab at the top of the home page, and select “Request a Quilt” from the menu. 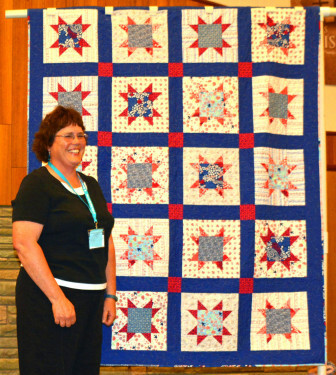 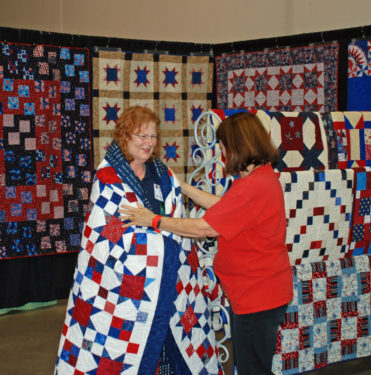 Fill out the form, and in the “Comments” block, ask that your nomination be assigned to Connie Emmen for presentation at the BBQ Quilt Show. 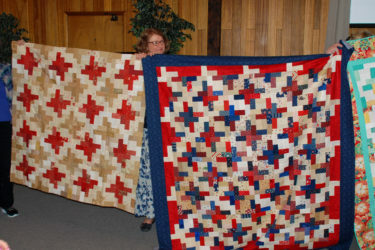 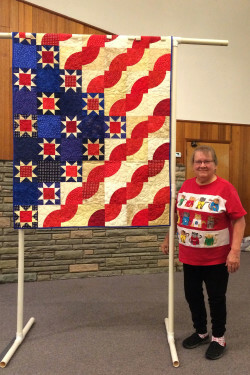 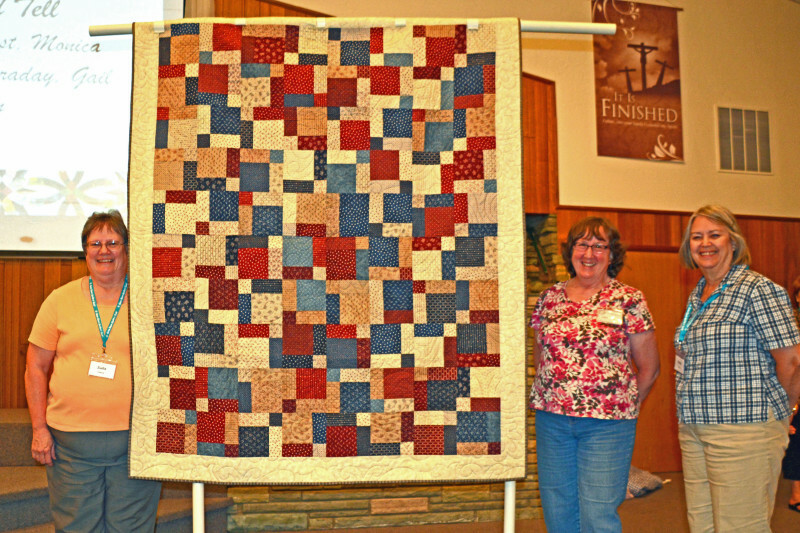 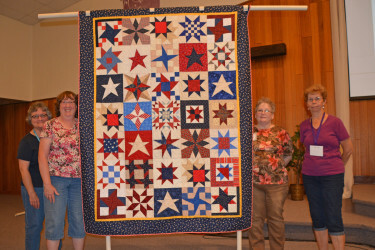 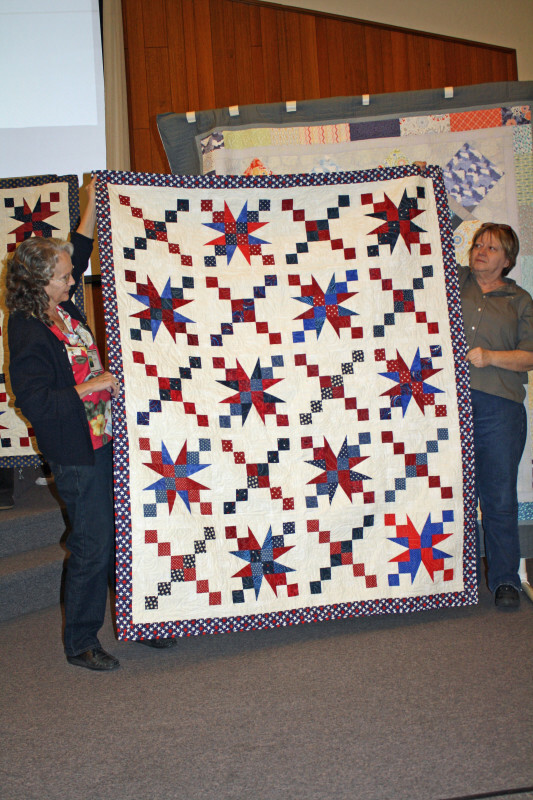 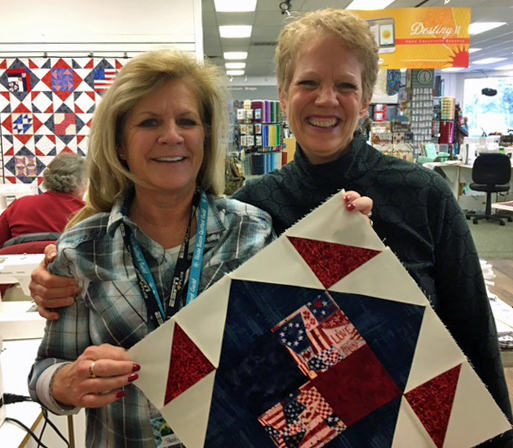 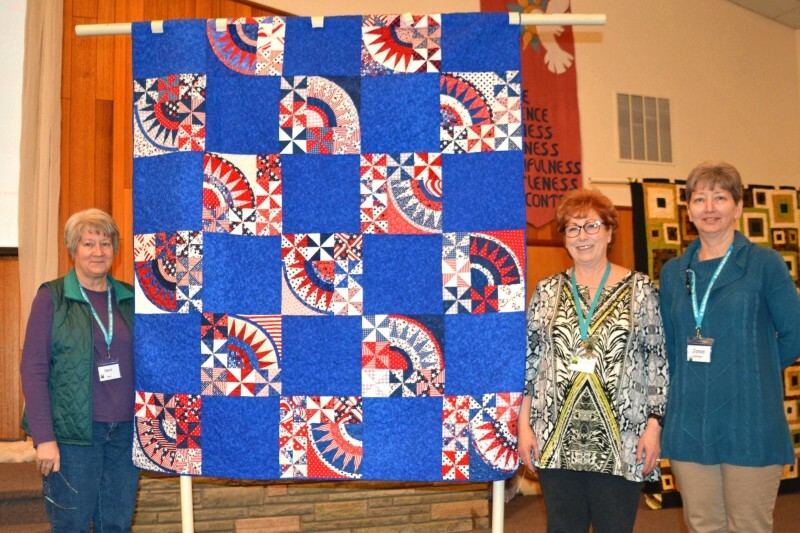 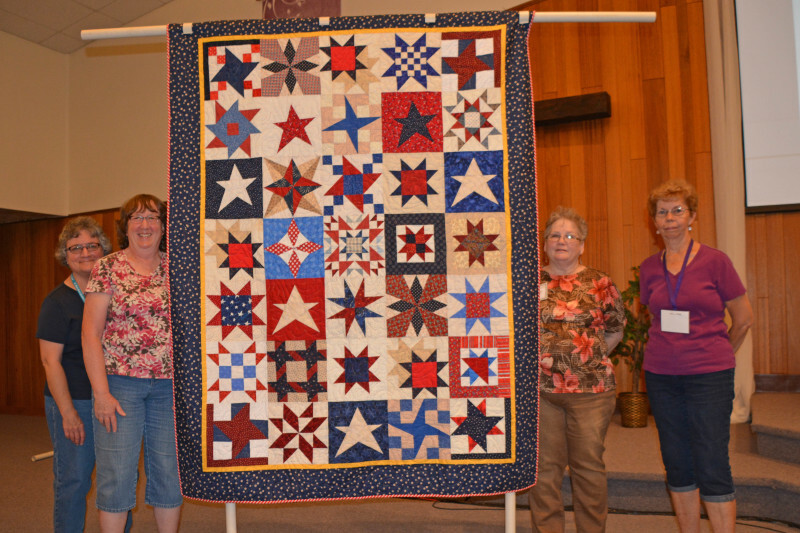 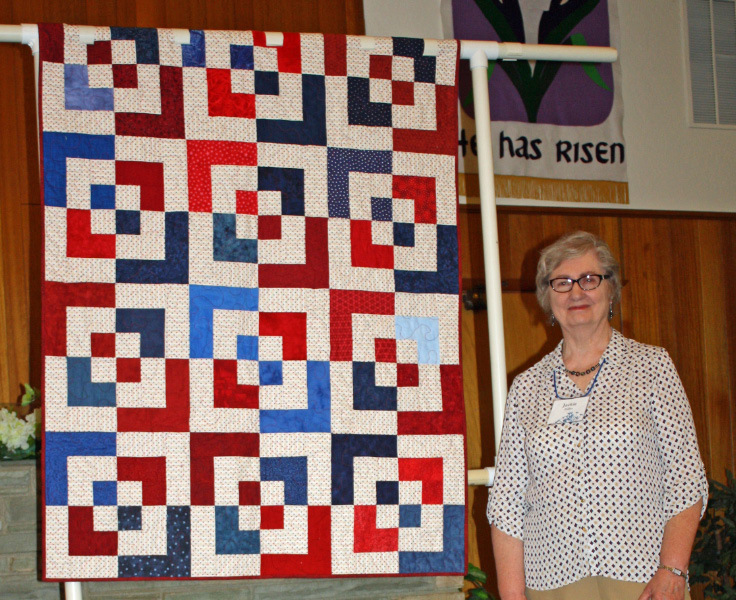 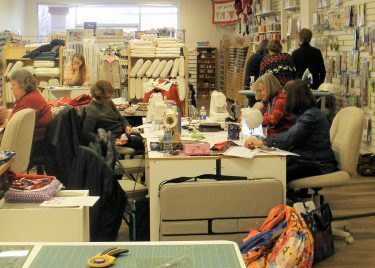 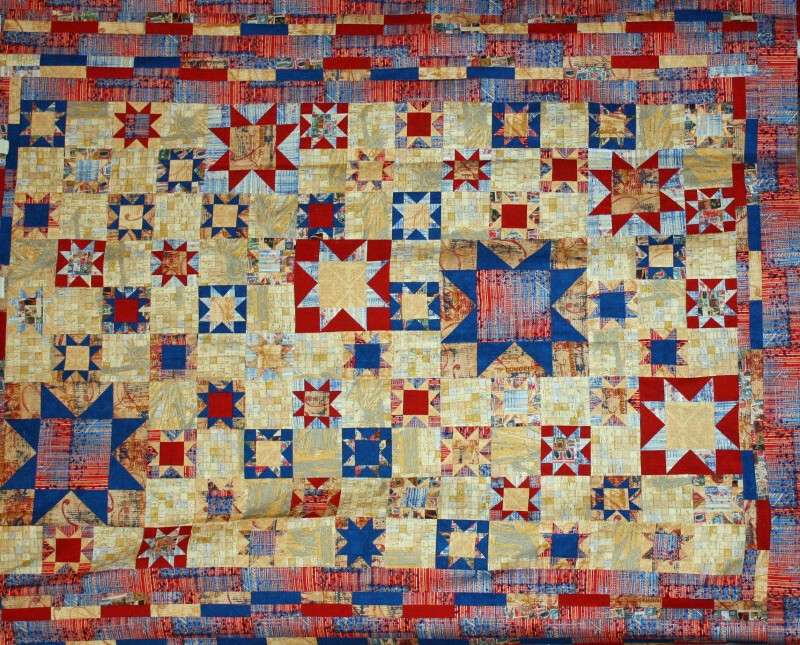 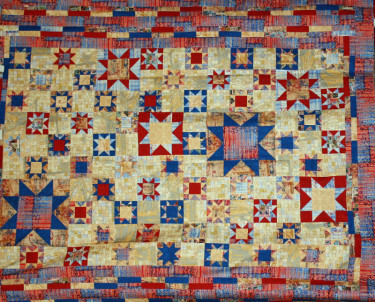 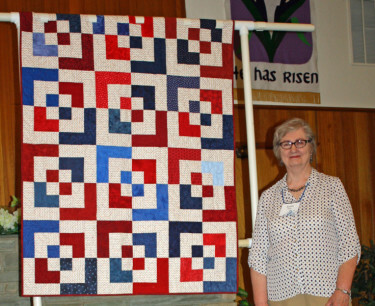 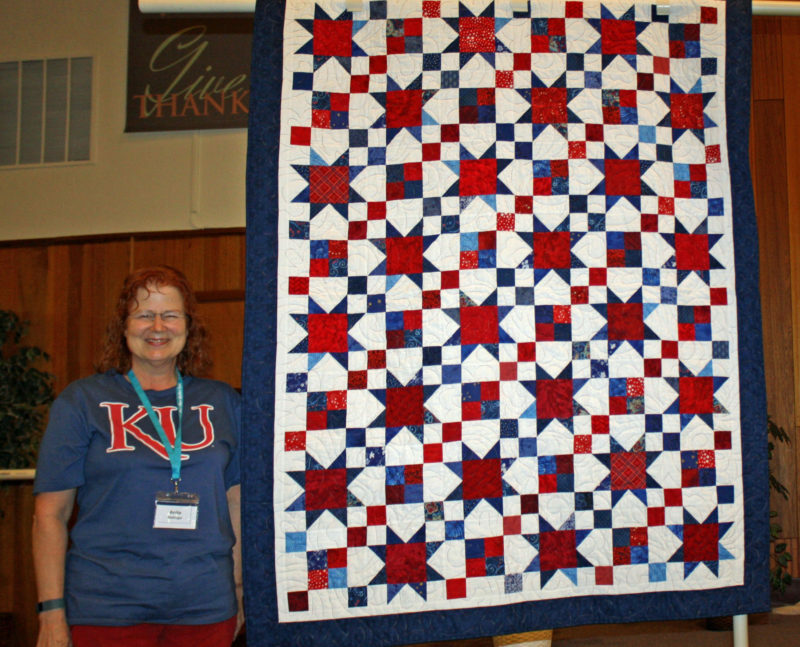 Please watch for the next Quilts of Valor Sew Day in Boise – date to be determined. 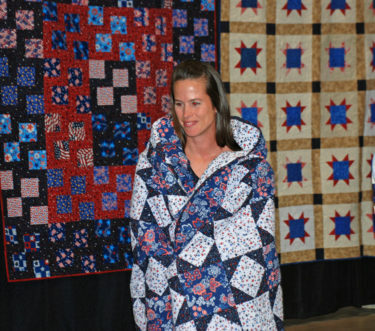 Quilts are accepted at any general BBQ meeting. We welcome your quilt contributions. 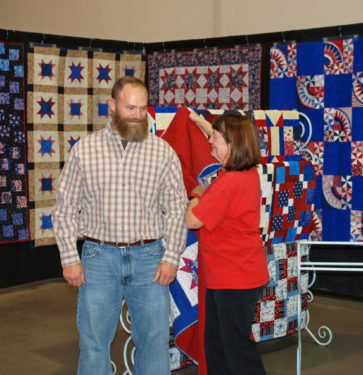 Please see general guidelines below. 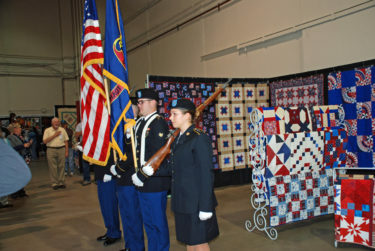 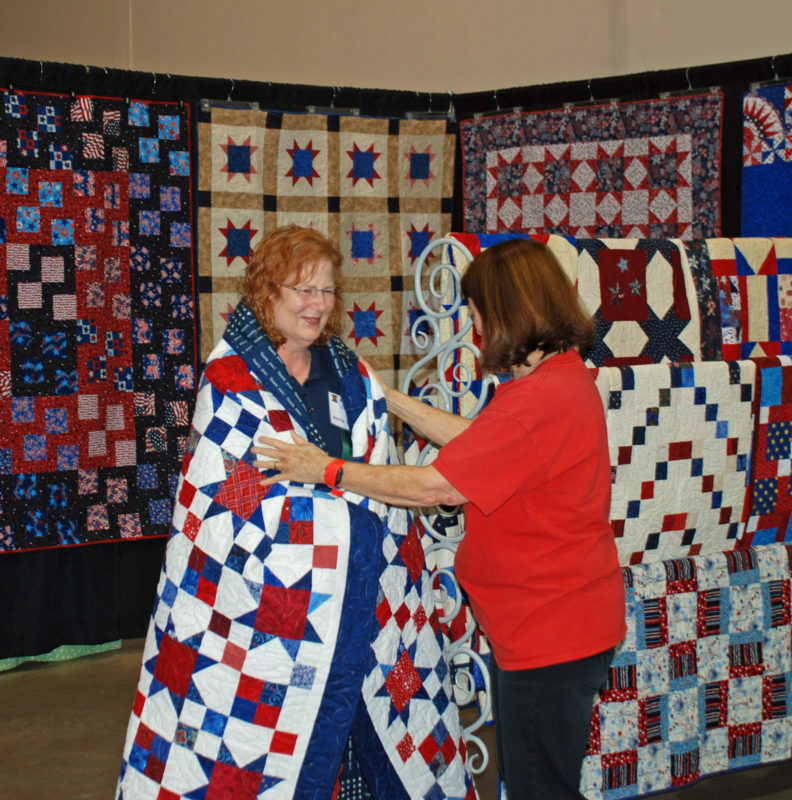 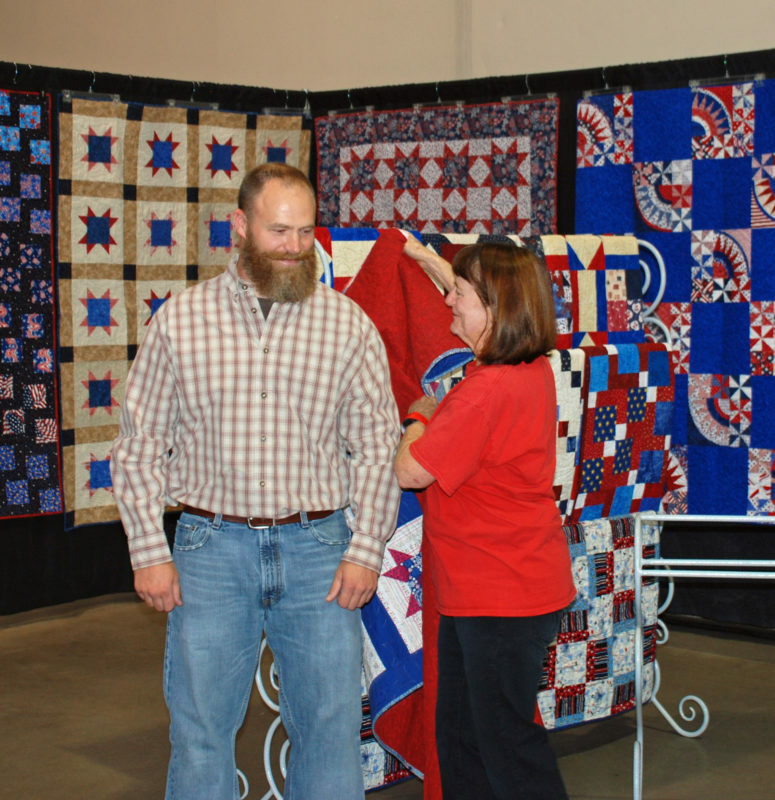 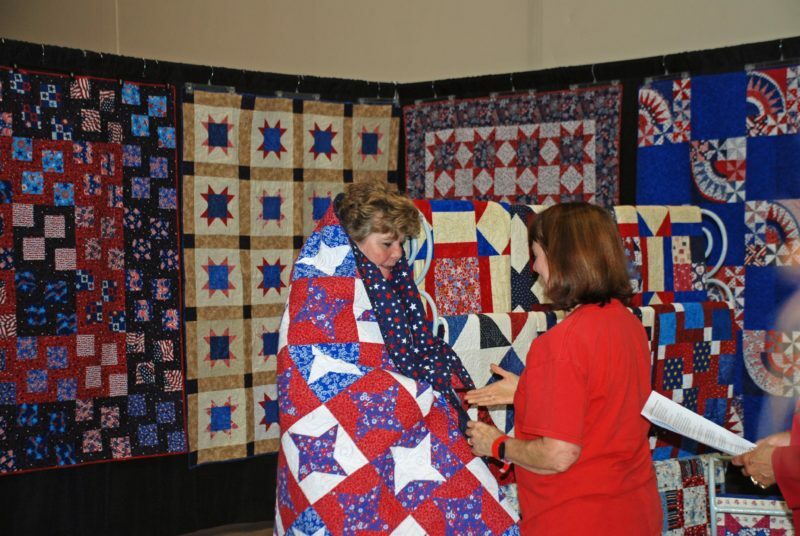 ur Quilts of Valor quilts are presented to our military service members and veterans touched by war. 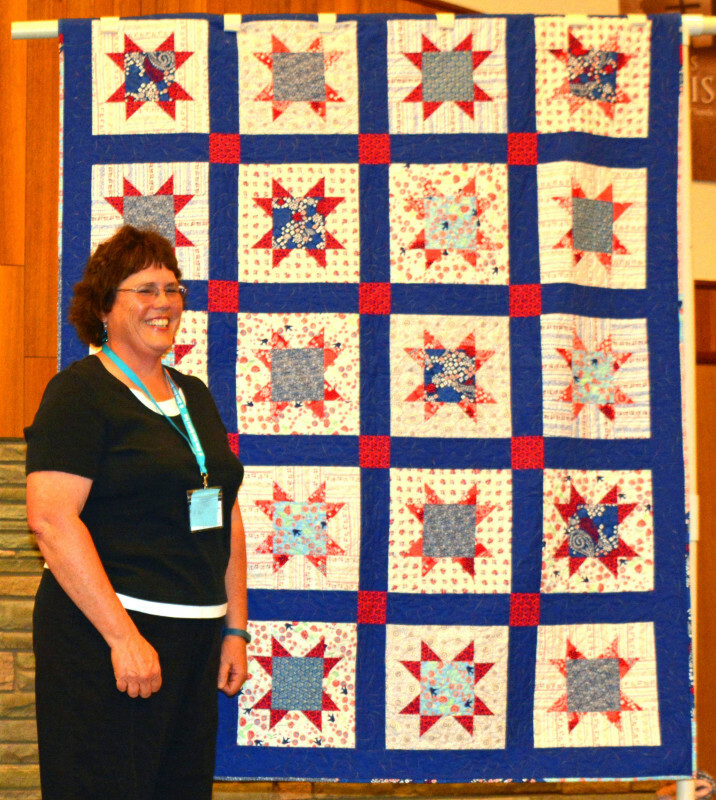 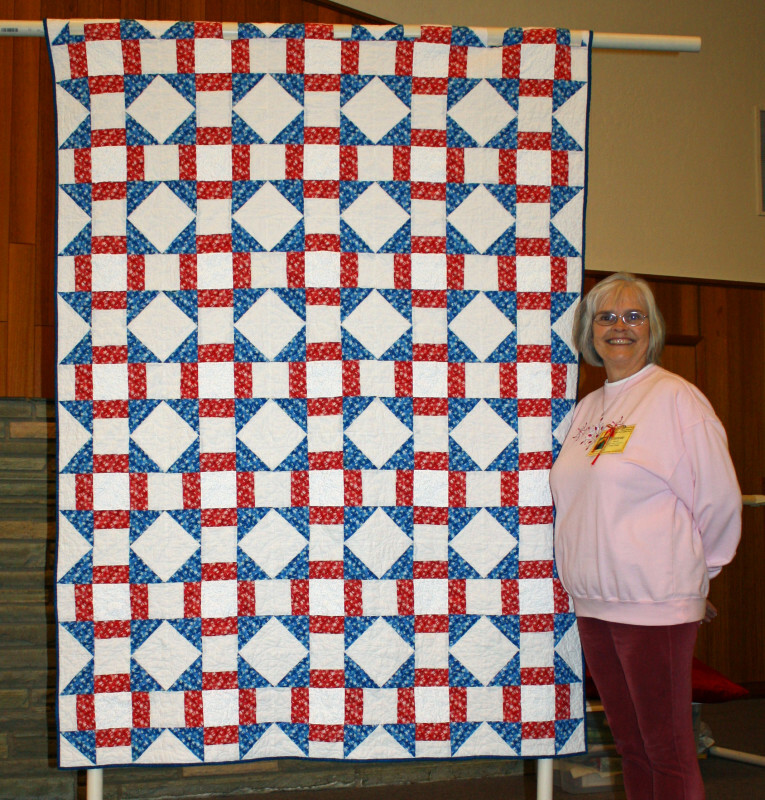 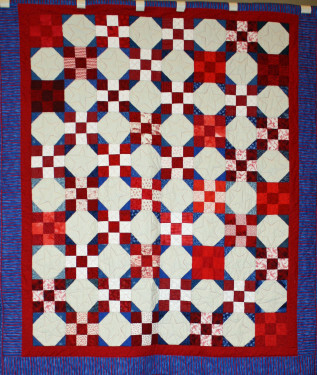 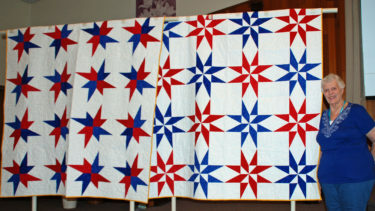 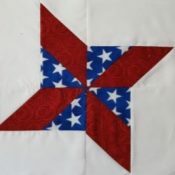 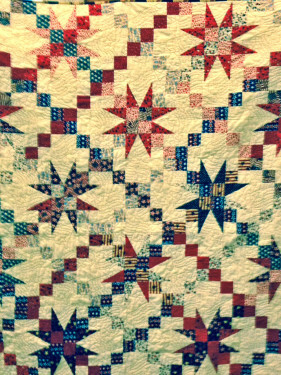 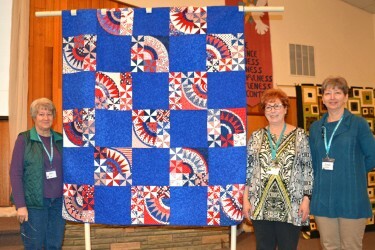 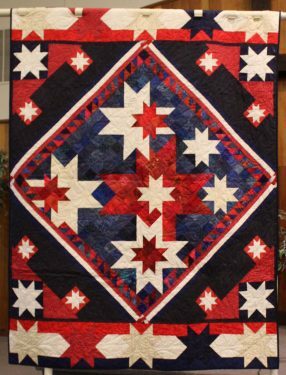 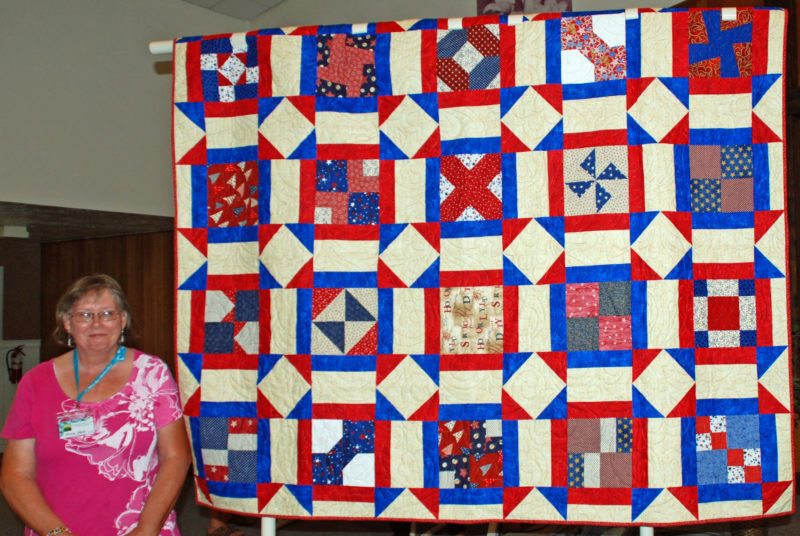 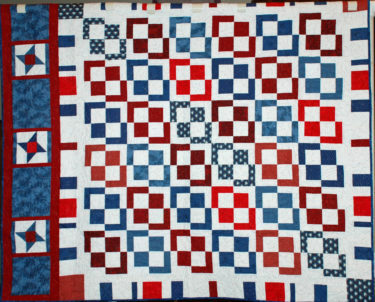 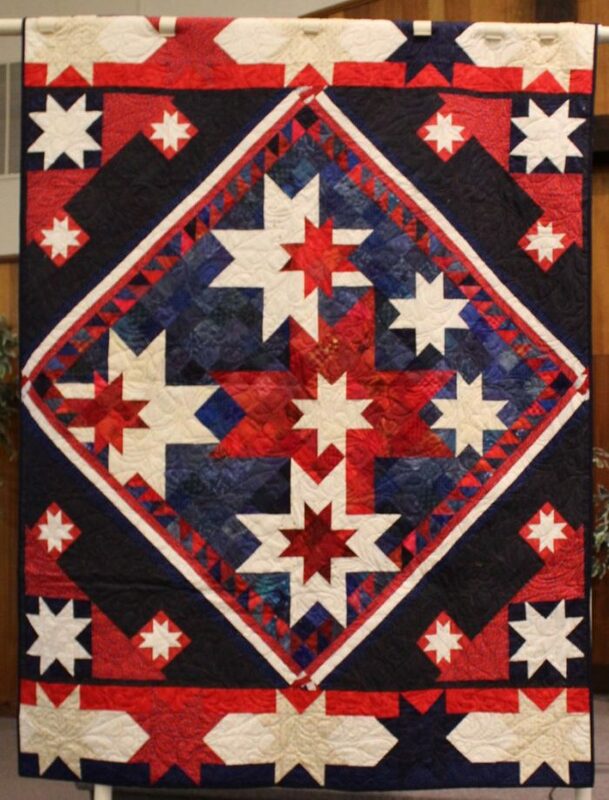 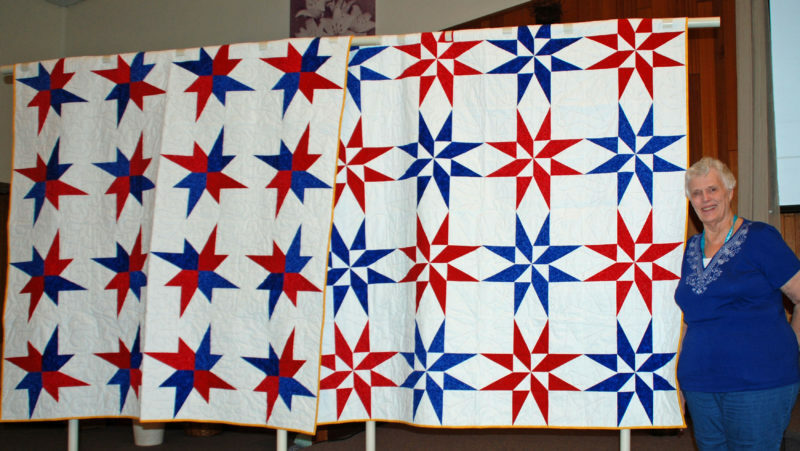 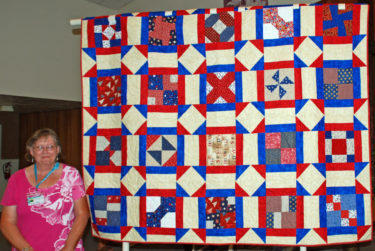 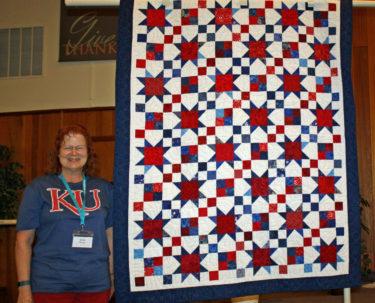 Please help with creating patriotic-themed quilts to provide comfort and healing!. 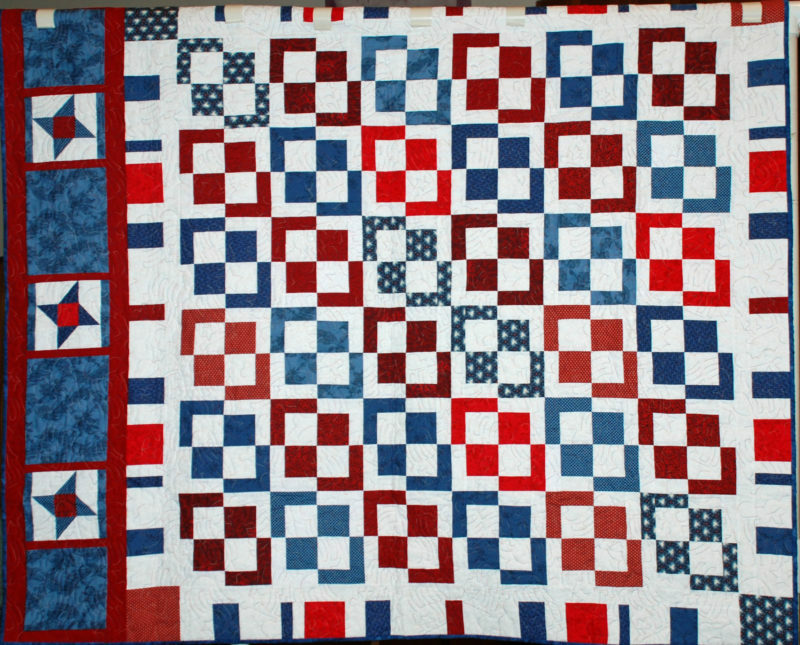 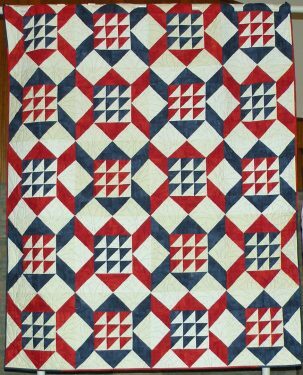 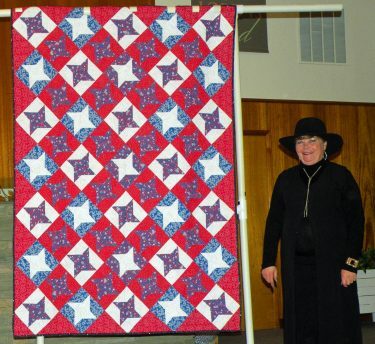 We are happy to accept any patriotic-themed quilts. 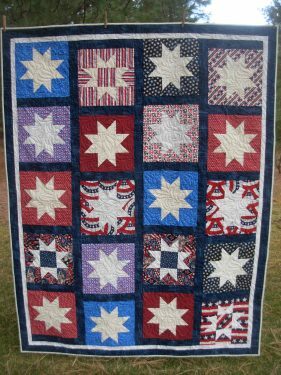 Before using them, please pre-wash all red and blue fabrics in warm water with Shout Color Catchers or Carbon Color Grabbers and Retayne or other dye fixative. 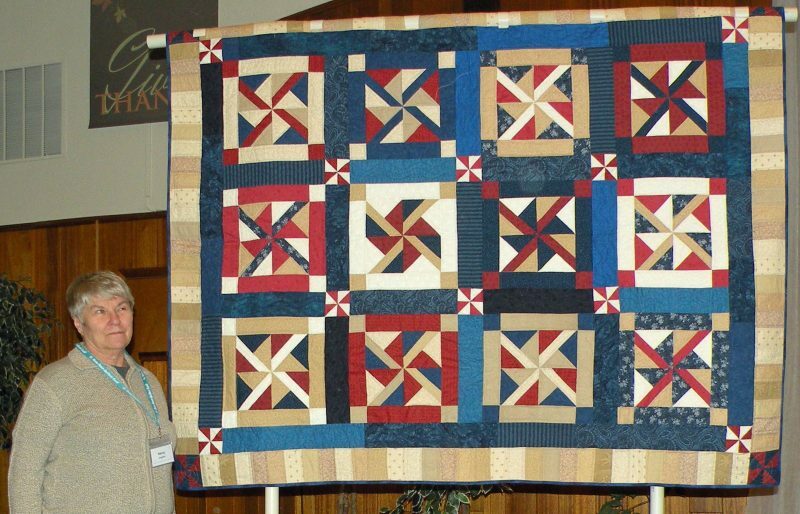 All QoV must be pre-washed before presenting and we have had some beautiful quilts ruined in the final washing because the fabrics had not been pre-washed adequately. 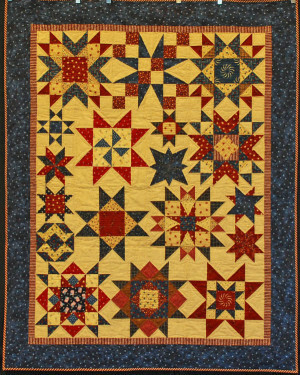 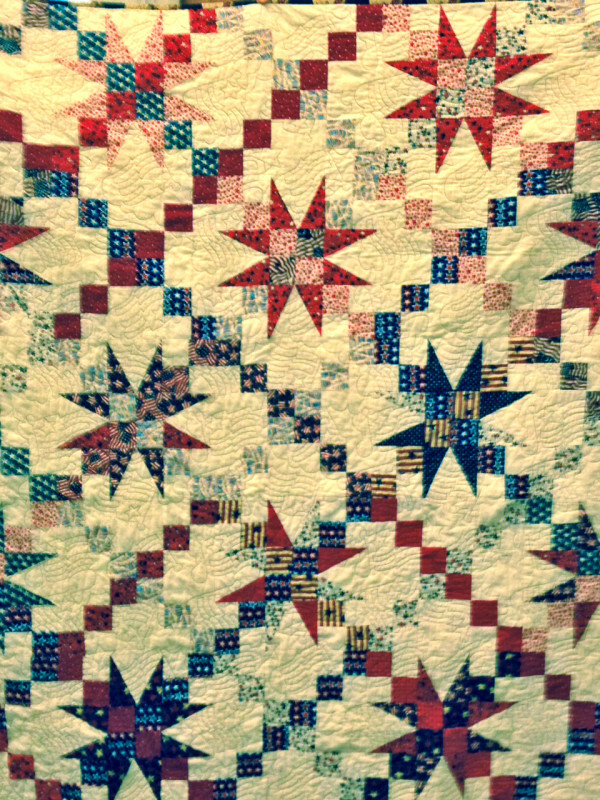 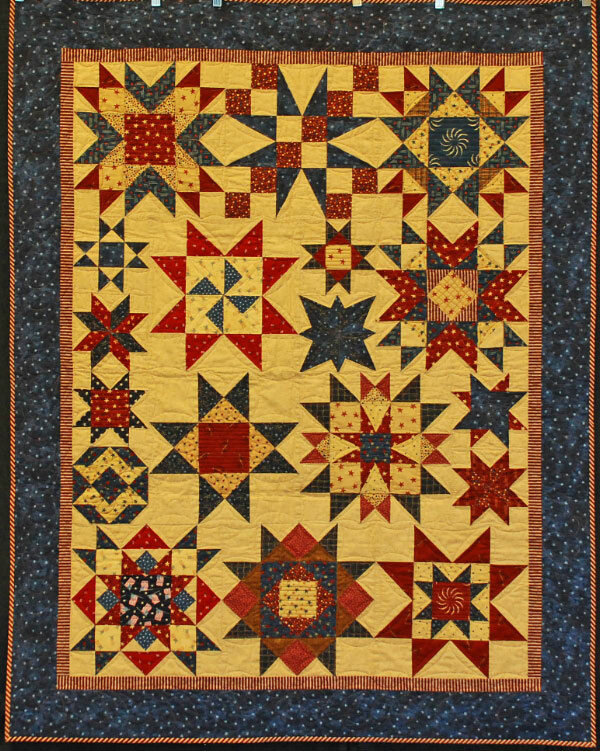 It is heartbreaking to see the quiltmaker’s hard work spoiled – still a warm quilt but not as beautiful as intended. We love fabric donations! If you have fabric in patriotic themes or colors to donate (fat quarter or larger) for someone else to make a Quilt of Valor, please take the fabric to our table at the next Guild meeting.